Good afternoon graduates, families and friends of the Class of 2018. What a fantastic class this has been. They were the first class in nearly a decade to come to school everyday construction-free. They were here during a record-setting rise in standardized test scores, national rankings, and athletic dominance. They were mature and professional from the start, posting perhaps the lowest number of discipline infractions in the history of discipline infractions. They showed up for events sober and looking good. Their teachers have had nothing but high praise for them. Their student of the year, Izzy Lau is the nicest kid ever to walk our halls. Izzy is a singular representation of the entire class as a group. And if you need any more evidence of their goodness, this is the class who showed their most absolute rebellious side in thinking the worst prank imaginable was to bring their dogs to school. So yes we taught them English, Math, Science, History, Languages, Art, Music, Media Arts, Technology and Engineering, but what these seniors learned extended well beyond the walls of our classroom. In this year, the most important of lessons learned came from this community and all of you assembled here served as teachers. From you they learned a light of community that not only prevails, but conquers darkness. In the wake of Hurricane Harvey, this community turned out in miraculous ways to raise up those suffering in Cleveland Texas, delivering truckloads of critical supplies, rebuilding homes in impoverished neighborhoods, and even providing cooked hams at Christmas for 275 families. In the wake of Route 91, the community rallied around the memories of Sandy and Rachel, setting up memorial and scholarship funds and supporting the victim’s families in countless ways. After Parkland, we stood with students and the thousands marched along side them. The city then stepped up and generously provided funds to better secure our campuses and we listened to students. It’s past-due time for a change, and we are changing. And as a final act of community, the citizens of Manhattan Beach recently voted to keep our schools improving by providing much needed support for classrooms. So in the end after countless hours of homework, lectures, tests, presentations, term papers and trying to remember your Aeries login, it turns out that what you learned, the value of community as a source of light through darkness, served a lasting lesson. Now wherever you go after today, take that lesson with you and replicate the same experience in your new communities. Be champions of light wherever you go: bring with you the light of goodness in word and deed, the light of kindness and charity as your default personality trait, the light of service to others without being asked, the light of mercy toward others, and the light of truth in your relationships. May the light of Manhattan Beach community and the light of Mira Costa High School be with you always, fair winds and godspeed Class of 2018. Please click the link below to view a video to Mira Costa students from Senator Ben Allen. On March 14 we will take part in a Day of Expression during AM Office Hours. We have organized some activities, and hope to add other activities that are student-led, or staff-led. In the quad A.S.B. will set up the P.A. system on the stage, open for students to freely express themselves on messages of unity. Through Mr. Hernandez and broadcast journalism, students can record 17 second video messages to lawmakers. The complete video will be sent to the entire California Congressional Delegation. We will be planting 17 rose bushes on our campus as a reminder of the victims of school violence in our nation’s past. Through Ms. Heredia and the art department, we will have sidewalk chalk available for students wishing to express themselves through art in the Quad. Through Ms. Vaughn adviser for the Reflections Journal, there will be an opportunity for students to make a protest sign in the cafeteria. At 10:00 we will call the school together in the Quad and have moment of silence lasting 17 seconds followed by the reading of the victim’s names from Parkland, Florida. We will be joined by representatives from the City, the School Board and MBPD in a show of unity. Then on behalf of performing arts, the Mira Costa Wind Symphony will perform a reflective, solemn and hopeful tribute prior to returning to class. We encourage student organizations and staff to come forward with other ideas for that day which will allow students to express themselves safely, and on campus in a way that is meaningful and authentic. We have invited local leaders (including Mayor Howorth and the City Council), as well as print/television media to attend our Day of Expression to hear student voice and understand that We Stand Together at Mira Costa High School. It has been several weeks since we went to Cleveland. I cannot say thanks enough to this community that my family calls home. All of you stepped up in so many ways, large and small. The generosity was overwhelming. By all accounts, the trip was a complete success. We delivered every single kit that was donated, collected, packed, loaded, and shipped. It demonstrated a new approach to grass-roots humanitarian relief that will only increase as other communities come to understand what we did. The “collect to distribute” approach will hopefully serve to help many others in the future. It’s who we are, Manhattan/Hermosa/Redondo/Torrance communities! What I’ve found from talking to so many of you is that you want to hear the stories. There are so many. I have written down as many as I can remember. Here are a few stories from a larger collection of stories that I journaled on the trip. At the beginning of the distribution I stood over by the end of the line of supplies, talking to Dr. Myers, the CISD Superintendent. He did a great job organizing his principals into teams at each of the stations. The principals, in turn, had marshaled their teachers and students to work, filling orders for each of the cars and trucks that came through the line. A truck pulled up next to us with a lady driving. No one else was with her. I started to notice that the students were filling the back of her truck with supplies, calling them out: “8 cleaning kits, 24 hygiene kits, 16 packs of bedding, 4 disaster kits, 15 children’s clothing kits, 4 bags of dog food…” That’s a lot for one car, so I walked over and politely asked what was going on. “Pardon me ma’am, I don’t mean to pry, but that’s a lot for one person. What’s going on?” She then started telling me her situation. Her truck was the only working vehicle along a half-mile stretch of road in Plum Grove. She had gone up and down her road, filling orders for her neighbors. What’s more astounding, as we found out later was happening all over the small communities, is that people on adjacent roads were finding out who had working vehicles. Houses with working trucks had supplies. They would wait in the wood line for the truck to leave then run into their houses looking for supplies. Other than the person with a working vehicle, the person with a working gun was also important to sit outside houses and protect them from those desperate for supplies. It’s hard for me to judge: I’ve never felt the desperation of a person with a family needing food, clothing, or shelter. We had been distributing for over 5 hours. It was hot and people had been volunteering and waiting in their cars. Richard Montgomery and my son CJ had decided to hand out water to the endless line of cars. At some point, as the kits began to run out, the City determined to cut off the line. They estimated the number of kits remaining, counted off cars and turned away around 150 cars at the end of the line. Luckily, they did all this without telling me. I would have not taken it well, but it was the correct call. Seeing the last 20 or so cars, I decided to go down the row and let them know that even if we ran out of kits, there were still plenty of clothes. They just needed to park, come over to the boxes, and take as much as they wanted. I didn’t want anyone to go home empty-handed. As I worked my way back, I started to notice the last car. It was a small, blue hatchback. The car looked like it was working only by miracle. I got closer and saw that the couple were in pretty bad shape. He was wearing only a pair of ragged blue jeans, she was wearing a night gown. Their baby (who turned out to be 3 months old), was naked and laying across Mom’s chest and stomach. They had obviously slept in their car. I wanted to react in a dozen different ways, but gathered myself and simply asked, “what do you need?” It seemed like a dumb question, but what else can be said? He looked up and told me they were there hoping for food, diapers and clothing for their baby. Without a word, I wheeled around and walked the hundred or so yards over to where the volunteers were filling orders. I grabbed a cart and filled it with infant diapers, wipes, and formula. I grabbed three or four pairs of new jeans and shirts, blouses, shorts and other women’s clothing items. I grabbed new socks and shoes (I dispatched a student to ask their sizes). Teresa Coates walked up and said the local BBQ joint had brought in pulled pork sandwiches, and was I hungry. “Bring me four of them and four waters out of the ice chest.” She looked at me funny then saw the cart. She hurried back inside. I grabbed a gas canister. He had said they’d been in line over 5 hours and were almost out of gas. Passing along the line of cars, we got back to the car and started loading it up. Both the Mom and the Dad were crying. I handed Mom a onesie and directed her to cover her baby right then. I pointed to some shade where they could park and eat. They thanked and god-blessed Teresa and I profusely. I went back to work as they ate in the shade. I never saw them leave. As the days have passed, I’ve come to realize that the little blue car has come to represent why we all did what we did. We were out on a supply run on East River Road in Plum Grove about 3 miles south of Cleveland. There was destruction everywhere. The river had crested and the flood came fast. It emptied house and knocked over mobile homes. The water line ranged from six to ten feet. There was debris and people’s belongings everywhere. We stopped at this one piece of property. There were a lot of people milling about and a bunch of barking dogs. I could see they had the hood up on one of their cars. There was a free standing house (not mucked) and a small mobile home cross-ways across the front yard. A teenage boy, shirtless, walked up the dirt drive to greet us. He said they needed baby supplies mainly, and water. He said there were three families on the property. A woman who looked to be the oldest among them, maybe in her early 40s walked out to talk to us. We asked if they were ok and where were they sleeping. She pointed to a tarp that had been strung over a rope tied between two trees. It looked like a big blue A-frame house. She said they were on the ground. Their beds were either soaked beyond use or washed away. She then told us that when the river crested, the water flooded their house in under 30 minutes. It was the 2nd night of the storm when Harvey had gone back out into the Gulf then returned, dumping the 2nd round of 20” of rain. The east fork of the Trinity couldn’t remove the water fast enough and exploded over it’s own banks. Think of sitting in a full bath tub and how fast the water covers the floor. They only had a matter of minutes to wade out. The wind had knocked over a tree, creating an angle from the ground easy to climb. The dozen or so living in the house, including small children, scurried up the tree to avoid the flood waters. They stayed there all night while the storm raged. Early the next morning a neighbor’s canoe floated by. The older boy, against his mother’s wishes, jumped in and swam to the canoe. The water was toxic from sump tanks that had been flooded, and dead animals. The current was strong and filled with debris. The chance of getting trapped underwater by something below the surface was real. Ignoring his mother, he paddled by hand over to the house only to find it completely under water. As he returned to the tree holding his family, it started to give way. They all bailed into the canoe, some jumping into the water and hold on to the outside. They were in this condition a few hours until the morning when a boat came along and towed them to higher ground and eventually to a shelter for three days until the water receded. A week had passed since then when we came along on our supply run. The Cleveland police took us on a tour Friday morning of the outlying areas. Our group went to Plum Grove, about 3 miles south of Cleveland. What we saw was astonishing. It looked like a bombed-out war zone. The ditches in front of all the houses were filled with torn out carpet, insolation and dry wall. There were mattresses, tables, and entertainment centers everywhere. The furniture, tvs, and clothing were just tossed all over the ground. It was mounds and mounds of trash and debris. Eventually we passed by a house and saw movement. Two men were hauling debris by hand out to the road. One looked younger, maybe mid thirties. The other man, Pedro, was in his late sixties. We stopped and got out to meet him. He only spoke Spanish, so I turned into interpreter for the group. He walked us back over to his house. The home was up off the ground on stilts, maybe six feet. He said when he built the home decades ago, we was worried about being so close to the East Rive, which is the east fork on the Trinity River. He figured six feet up off the ground was plenty. The house was completely stripped to the studs. He had mucked out all of the interior walls completely to the ceiling. We walked up a set of outside steps to a portico of sorts, like a walled and covered porch. We have video of him describing how fast the flood came and point with a stick about 8 feet up the wall where the water line came. That puts the flooding at about 15 feet for him. He said that the 2nd night of the rain, there was about 3 feet of water outside. He and his wife went to bed only to wake up a couple of hours later when they felt sloshing in their mattress. The water had come into their elevated house and now they where laying in it. They got up and swam across the road to a neighbor who was in their boat looking for them. They went to a shelter until the water receded. He had returned and was working on his when we arrived with supplies. Earlier this week I found out that my hometown-Cleveland Texas-is completely underwater. The 8,000 residents, along with the thousands living in the surrounding smaller (if that’s possible) communities have lost everything. At this point many the residents are sleeping on the floor in the shelters that have been quickly established. It is complete devastation. When I first heard on Monday, I called Dr. Matthews and said I was going to get on a plane and just go there. He was very supportive and asked me to keep him informed. I then called my wife, who asked me what organized effort I hoped to support. My answer was, “me and my buddy Chad are going to get a truck and a boat and just go.” Saying she was less than inspired with my plan is putting it mildly. She stipulated that until I was connected to an organized effort, no. I am grateful for her voice of reason. So I started reaching out to the people of Cleveland to find out if they had anything going. What I found out is that FEMA was understandably focused on Houston. The small towns were not officially receiving aid or assistance. In fact, no one could get to Cleveland. All the roads in were under 10-15 feet of water. They were completely cut off from everyone and everything. When I relayed this to Dr. Matthews, he said, “let’s do something.” That conversation quickly extended to the City and a meeting convened. It was clear that more people wanted to help. Once we talked to the officials in Cleveland, and we understood the gravity of their situation, it grew a little more. Then Skechers got involved. They’ve donated 3,000 pairs of shoes and 10,000 pairs of socks. When word got out, the donations and support started pouring in. What started as a simple “one truck” solutions has quadrupled. I never expected this to become the massive effort that it has. When we met with all of the principals and PTSA presidents, there was no hesitation. They went right to work on it. I want to thank Dr. Matthews for his heart and leadership. Everyone seems to understand that the people of Cleveland need our help. I can never thank everyone in the Manhattan Beach community enough. It is difficult to find the words of gratitude because none of the superlatives seem adequate for what is happening. We have 4 large moving trucks pulling out Wednesday night at 10:30. I’ll be driving one of them. Thank you for taking a minute to read the story. Welcome back to the 2017-2018 school year. We look forward to seeing your kids back on our campus. Hopefully they had a relaxing, fun and safe summer. We all sure did. The summer goes by fast, but the school year goes by faster. Encourage your students to make the most of every day. We hope they place the most value on the journey. As many of you know, we had a wild summer with our vice principal team. Dr. Karina Gerger has moved next door to serve as the principal of Pennekamp Elementary. In her seat serving the counseling team and working master schedule we have placed Jessica Bledsoe. Many of you know her as the amazing AP Bio and Biotechnology teacher at Costa. She was one of my first teacher hires 8 years ago, and now she will be serving the larger campus and community in an administrative role. Vice principal Kristen Wolberg has moved to Oregon with her fiancée. She is taking a gap year to travel, and then she will continue as an administrator there. In her place we have brought on Tara Grings. She comes to us from the Hawthorne District where she taught Choral music. She came to our attention as a rock star student in the South Bay cohort of the Long Beach State administrative credentialing program. Ms. Grings will be leading our efforts with technology, testing, curriculum/instruction, professional development and attendance. Lastly, Jon Shaw has accepted a position as vice principal at Buena Park High School to live closer to UC Riverside, where his wife will soon begin nursing school. In his stead we have brought to the team Stephanie Hall from Bakersfield who has an experienced background in athletics. She has demonstrated years of success as a head coach in soccer, assistant athletic director and as an assistant Dean. She will continue her journey here leading both athletics and activities. Rounding out the team, Deborah Hofreiter recently completed her doctoral degree at Long Beach State. This strong administrative team will serve as a great resource for our world-class teaching and support staff. We look forward this year to our continued work through the Social Emotional Wellness Committee on how we deliver instruction in an organized and meaningful way. We never want school to be easy for students, we want school to be easier on students. We will also dive further into our Common Core implementation in Math. We have made great progress over the last 12 months and we will strive to continue that upward trend. The same applies to the NGSS (new science standards) as we begin the transition to the new science pathway that will kick into high gear for the 2018-2019 school year. National History standards will also roll out this year, and we will continue to promote smart approaches to technology. Together we are all committed to fostering a healthy and rigorous learning environment for our children -- our students. Together we are committed to a safe learning environment for all students - that values all students. Together we are committed to continuous improvement in the way we deliver our instructional program. Together we are committed to maintaining an innovative culture, always looking forward to ‘what’s next?’ Mira Costa High School will always represent the best preparation for students as they head out into the world. The term The American Dream comes from Pulitzer-prize winning author and historian James Truslow Adams who wrote in a 1931 depression-torn America "life should be better and richer and fuller for everyone, with opportunity for each according to ability or achievement." Interesting words at a time when no one lived better, richer or fuller. In the decade that followed, the notion of an American Dream would become a cultural cornerstone. In his commencement speech our first principal, Lloyd Waller championed the idea to the class of 1953 when he said, “the abolishment of fear and want goes to make a secure world, while free speech and religious freedom form a free world. Either one or the other of our two goals, freedom and security, has been reached at some time, but never both at once. In order to make utopia of the world of the future, we must first deal with the problems standing in our way.” Mr. Waller was asking for a new American Dream. One that looked both inward and outward. It was both forward thinking and respectful of the past. By the mid 20th century when Mr. Waller was asking for global awareness, the American dream had transitioned from the westward expansion dream of the 19th century to the pursuit individual success and personal wealth. Peoples and cultures emigrated here from all over the world to find this dream of success. The same dream also inspired oppressed peoples already here, giving birth to civil rights and social justice. By the end of the 20th century though, which was my generation, the dream came to represent greed both home and abroad. Gordon Gekko’s “Greed is good” became the vision and mission of the late 20th century. My generation’s attitude of self-first, brought us into the 21st century, arguably the most volatile and dynamic period of our nation’s history. Rediscover dialogue: Go out and find someone who disagrees with you and talk. Seek first to understand and then to be understood. If you disagree and are shocked or offended by what you hear in the dialogue, try a new approach. Instead of shaming them on social media for their viewpoint, work to find common ground on which to build. The fear of being shamed has all but killed dialogue and debate in our society, and has us retreating into like-minded groups and closing off the outside. It is an intellectual territorialism unlike anything humankind has ever seen. Fixing this is the New American Dream. Engage problems: Find a problem, square your shoulders to it and attack it head on in a way that’s unique. Law and Science do not necessarily solve everything. Math, arts, language, and literature can be new solutions. Solving the problems of famine, drought, and poverty is the New American Dream. Redefine how we communicate: Make all forms and mediums of communication acceptable. Restore societies faith in the news and accuracy of information. Our generation has royally screwed this up. We discovered the toy but don’t know what to do with it. You were born with it and understand it better than we do on a more profound and meaningful level. Make the discovery of truth foundational again. Media literacy is the New American Dream. Replace the civility in politics: Character assassination has become the primary policy strategy. It’s ok to disagree with their politics. It’s ok to hate their position, but don’t hate the person. If your dislike goes beyond their position on issues and becomes a hatred of them as a human, you’re part of the problem, not the solution. Fighting policies not people is the New American Dream. Re-prioritize selfless service: Many of you picked a college that is the best fit for you. Let that be your last self-serving decision. When you decide your life’s work, ask where you are the most needed. Selfless service means you will contribute to the greater good and not be an unconscious consumer of the world’s resources. If everyone of us commits to lifting up one person less fortunate than ourselves, the world will completely transform overnight. Dedicating your selfess today for some else’s better tomorrow is the New American Dream. Congratulations and Godspeed Class of 2017. Go Mustangs. As the school year comes to a close, we like to pause and reflect on our progress. We have created a culture and mindset of continuous growth that focuses on the process instructionally and on the journey with our students. We hope to maintain an emphasis on innovation and value the social emotional wellness of all of our students. Like any large organization we always look to improve, but we certainly celebrate our successes this year. With this emphasis on the Process, we focused in this year on important aspects of instructional delivery – homework, assessments, grades, engagement, and academic load. With homework we discussed it’s meaning and importance. We stressed the use of homework as a formative assessment tool and did some internal checks to make sure that homework assigned had true meaning to the learning process. “If you’re not going to grade it, don’t assign it” was our watch-word. With assessments, we looked at making them performance-based. Rote memorization and regurgitation have no place in today’s classroom. We emphasized a shift from “what do they know” to “what can they do with what they know.” It is a powerful distinction. We challenged the meaning of grades and looked at ways to assess students such that they have a voice and choice in how they demonstrate proficiency and mastery. Teachers have been given the freedom to determine whether proficiency or mastery is more warranted. We have teachers all over campus who have adopted revise and resubmit policies. We have made great strides with engagement. Especially in Math where there are less and less classes arranged in the “desk in rows” alignment. More dialogue and discussion have an emphasis in student learning. Lastly, we addressed important concerns with student load. Students must now account for their time inside and outside of class before scheduling classes. We also instituted a cap on APs at four per year. Work with the social emotional wellness committee revealed a real need to address the academic load of students. Un-stacking the work load and the use of Office Hours have helped immensely, but there is much more work to do. the transition from subject to subject gets exhausting as the day goes on. students have to be highly organized in order to stay on top of things. passing period barely allows enough time to get to each class…forget it if you have to go to the restroom. teachers go bell to bell in each class in a really amazing way. There were many more takeaways that we will communicate out in the Fall. Along with Shadow Days data we will share out data and video from our Fishbowl exercise, as well as the numerous student surveys. The data is helpful and promising. We see great progress in how students feel about school, but understand the amount of work still to be done. Overall, the social emotional wellness committee has focused primarily on three themes: advisory, parent outreach and education, and alternate schedules. There is much more work to do, but this year laid the foundation for a productive future focused on student wellness. Mira Costa has grown this year relative to building an inclusive culture for all students. Responding to the #notinourtown movement, students and staff have an increased focused on ensuring that all students feel welcomed and supported here at our school. It is encouraging to hear students say how welcome and comfortable they feel; that they can be themselves and feel safe. From TEDx talks to testimonials in our student publications to student survey data, we learn that students feel secure and protected here. The year began with students who wanted to protest following the presidential election. Administratively, we did not take a side. We wanted all students to feel supported and protected. When the students staged a march on City Hall we went along to ensure their safety. We respected their voices. It was certainly controversial, but we would not change a thing on how we handled it. Learning peaceful advocacy and dialogue is essential to educating a democratic citizenry. Programs such as Choice and H.E.A.R.T. focus on students who need extra support from staff and other students. The Black Scholars Union produced an amazing assembly in February for the 3rd year in a row. They also included a Black History Moment in our morning announcements throughout the month. The Jewish Student Club hosted a Holocaust Survivor who brought a message of kindness and pleaded with the students to live their lives to the fullest. The LBGTQ students advocated for and were supported with two additional Unisex restrooms. Our guiding principle is: if we have the resources and capability to support it, we do so. So we continue to grow as an organization. Though we do not boast about it, our numbers, rankings, and performance continues to rise. Our initial CAASPP data was stellar. We outpace all other schools locally and most schools nationally. Our SAT and ACT data increased again. Just when we think we have plateaued, the students prove us wrong. Our AP access has increased dramatically in the past seven years, and especially this year access to AP classes increased greatly over the previous year. Increased access to all students has resulted in a national ranking jump of 150 places. Last year we were #370 and this year we are #274. We also broke the top 50 in California for the first time. This increase is directly related to our more open access to AP classes. Amazingly, the increase in access has been supported by consistently high performance. Students here do very well, and continue to impress us with their high performance. In sports we continue to grow. Just when we thought we could not get any better, CalHiSports named us the #1 Sports School in California. The lesson learned is: excellence is not about accomplishments. It is a mindset of continuous growth and improvement. We will always strive to get better at what we do. At the center of a mindset on continuous growth is innovation. We focused this year on CCSS math implementation as well as on NGSS implementation in science. With math we observed a dramatic increase in the number of classes that employ project based learning, have collaborative seating arrangements, employ less lecture, and have cultures based on student talk and dialogue. Teachers are asking higher-cognitively based questions, and students feel more engaged. With science we focused on developing a two-year pathway for all students that will infuse biology, chemistry and physics. This new pathway will have students ready for the 11th grade science exam and will allow them to pick from the AP menu their last two years. We will be one of the few high schools in California to have figured this out and created the proper science pathways for students. Kudos to our science department for their innovation and collaborative spirit. Additionally, we continue to ask the appropriate technology question. Instead of asking “how can we include technology in our lessons,” we ask “how do students best learn.” On the surface it sounds simple, but a teacher must have a complex understanding of all forms of technology in order to answer it. We support the teachers through the use of an instructional technologist who works with teachers to figure out the required level of technology for students to best learn. We have formed two new departments – STEM and Media Arts to support the growth in those two areas of curriculum and pathways. We have expanded our CyberHigh footprint to support more students who are credit deficient. We now have adopted 21 new courses in the last two years. We have formed a committee of ten teachers to explore Next Gen soft skills (effort, grit, communication, teamwork, adaptability, problem solving, critical observation, and conflict resolution) with the goal of understanding how to teach it, observe it and assess it. 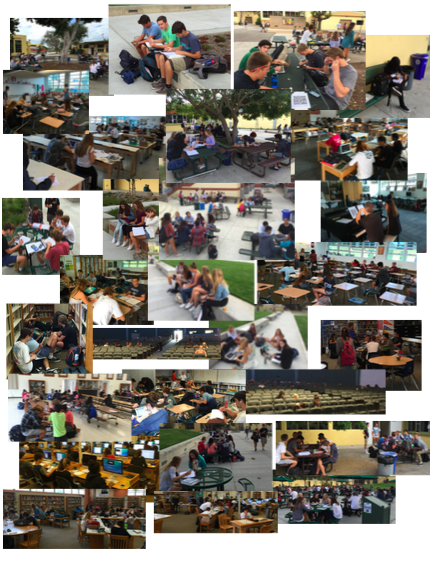 Mira Costa today looks much differently than Mira Costa seven years ago, and by all metrics and indicators the process has contributed to unbelievable success and achievement on the part of students and teachers. This year, like the year before, was an amazing year. We are happier, healthier and safer. We perform and produce at a higher level. We enjoy unprecedented support from the community. It is an incredible team effort where everyone has a place of unquestioned impact and value. Thank you students, staff and parents for another wonderful year. Thank you all very much for your overwhelming attendance and energy at Back to School Night…and I mean everyone, parents and teachers alike. What a great night! After my opening in the small gym, my wife Michelle and I went to all of our 10th grader's classes just like all parents. As we moved through his schedule I started to hear and notice how our teachers have quickly embraced so many of the concepts we have been discussing as it relates to creating a climate of care, as well as the strategies needed to reach Digital Natives. It’s great to see and hear so many exciting things going on around the campus. The evening started a thought with me that remains: what’s possible for Costa? Again, it’s an exciting time to be in education; whether as a teacher or as a student. I think we will look back in a hundred years or more and view this time much like we did with the advent of the printing press. What we are doing now is game changer-level stuff. But what is it, and more importantly, what can it be? We see cool things happening all over campus: voice and choice assignments, revise and resubmit policies, alternate grading scales, project-based learning, an emphasis on student talk, and an understanding that student stress and engagement require our full attention. We have already discussed the shift in the two main areas: content and technology. The old question – “what is the content?” has been replaced with – “what can students do with the content?” Additionally, the old question – “how can technology be integrated into the lesson?” has been replaced with – “how do students learn best?” The beauty of each new question lies in that it does not negate the old question, but simply approaches the idea from a different angle or perspective. In asking “what can students do with the content?” there is still the need for content but the focus changes on the assessment. Instead of testing students on their ability to regurgitate facts, we now focus on their ability to demonstrate a practical application of the content facts. The same is true with technology: before we struggled to integrate the technology, even if it did not necessarily fit. Now we use the technology that best fits the learning moment. It challenges us to be courageous in the use, or the non-use of technology. We also leveled homework so that there is no more than a 10% variance in how much homework counts toward a student’s final grade in similar courses. This removes inconsistencies between teachers that have created anxiety in students wanting to get certain teachers. We see far less teacher-shopping as a result. Speaking of schedule changes, this year students filled out a schedule change request that went directly to their counselor. It was super easy and there were no lines. Seniors will tell Freshmen that they don’t know the struggle. We are just glad the process is easier on kids. If you feel like you missed seeing your counselor during the week prior to school…trust me, you didn’t. What we forget is the two-hour line students had to stand in prior to seeing their counselor. And remember: you can always go see your counselor. They love students and want to meet with and help them. Go see them now. Counselors have also implemented a time management worksheet. Students who fill out the worksheet prior to registering on-line often discover they have scheduled themselves into more weekly activities than there are actual hours in the week! Whereas, we want our students to be able to pursue their passions academically, we also know they have to make choices in order to not overextend themselves. Sleep and fun time to decompress hold just as much importance as how many AP classes students take. The College and Career Center is now open until 7:30 pm every night of the week! Please stop by and meet Ms. Rieken, ask her about Naviance or to look at your personal statement. The role of the Parent Center in the CCC is to allow families to get the admissions and applications resources and assistance they need for free during evening hours that are more convenient for working families. We also put a cap on the number of AP courses a student can take in a year at 4. To be truthful, the jury is out on this decision. On the one hand it is declared a “max load” to universities on the college application. This is helpful in that students taking a max load can now get application credit for doing so. On the other hand we see preliminary data suggesting that students who would have normally only taken the 3 APs of interest, may have taken a 4th one of less interest in order to achieve max load. We are watching it closely to ascertain negative affects. A bigger move for students applying to colleges will happen when our semester ends in December this year! By doing so we are now able to send mid-year reports for our seniors to colleges, assisting them in the application and acceptance process. This change is long overdue and very beneficial to seniors…not to mention easing that anxiety! In the past two years we have added 25 new courses or programs to the Costa master schedule including: Human Centered Design, World History Honors, U.S. History Honors, BioTechnology, Choreography, English-History Block 10, English-History Block 11, Human Geography CP, Philosophy of Literature, Yoga, AP International Diploma, AP Seminar, AP Research, AP Capstone, AP Human Geography, PLTW Engineering, PLTW Computer Science, AstroPhysics, American Sign Language, AP Mandarin, Financial Algebra, and String Orchestra. Lastly, we have placed a limit on after school activities to 15 hours per week. If a program needs more than that, the advisor has to seek permission to do so. We know that almost all of our programs do their work after school well within these limits, but some programs such as drama, La Vista, band and track exceed this amount from time to time. We will continue to allow them the time they need to maintain their great programs, but we at least want them to have the conversation: how much time do we really need if pressed? That’s healthy dialogue for the advisors to have with the students. This year we have implemented a series of activities around the Challenge Success program. The committee of staff, students and parents has been meeting since last Spring to identify problems and root causes that contribute to student stress. As a result, this committee has recommended professional development, shadow days, fishbowls, and parent educational opportunities. The Social Emotional Wellness Committee will continue to work on fostering a climate of care at Mira Costa. Serving on the committee has been wonderful and insightful. As much as this is: what’s next? What is out there, that other schools are doing with success, and we could do? We see in other schools some easy things we can do and some more challenging, outside the box changes. For example, an easy change could be homework free weekends and holidays, with an additional guideline of nothing major due the week following an extended break. Many schools do this with great success and reduced stress for kids. Another easy change could be expanding our successful office hours/collaboration schedule to occur on more days. Larger, more challenging changes could be considering alternate bell schedules or re-tooling our award system to be more inclusive of all learners. The goal of any alternate schedule would be to reduce or remove the need for summer school and zero period, and the goal for a revised award system would be a re-vision of what is important to our school and possibly re-define the meaning of success to emphasize the journey more than the destination. No matter what direction we go on all of these issues, we hope that Costa feels different. The cold, results-based factory of excellence has hopefully given way to a warm, inviting environment that respects each student’s journey and values effort, grit, communication, teamwork, adaptability, problem solving, critical observation, and conflict resolution. Welcome back to the 2016-2017 school year! We are excited for the next 180 school days until commencement for our seniors, and we offer a warm welcome to the freshman class of 2020 into the Mustang Family. We promise to take good care of them, and they will also be preparing for their commencement year very soon. This year we are committed to challenging students academically while providing the best possible educational environment. Maintaining a rigorous academic program while fostering a culture of care is a daunting challenge, but together we can accomplish this important work. This year we turn our attention to two main ideas: the first is to continue exploring and working on the development of a culture of care, and the second is to understand the particular needs of the emerging class of digital natives. As we look at developing a school-wide culture of care, we embark on a journey through the Challenge Success program. This program will help to inform our thinking on how to make school the best learning experience for students. As the name implies, the program challenges long-standing philosophies that schools have relative to curriculum, instruction, assessment, homework and providing academic support. We started this process late in the spring by creating a committee of students, parents, teachers, counselors, administration, and District support to look at root causes and symptoms of student stress. This year, with the help of Challenge Success consultants, we will begin to look at what we can do to improve the learning environment for kids. The prevailing definition of a digital native is any student that started kindergarten in the fall of 2007, so the first generation just enrolled in the 9th grade. This has real implications for us as educators. As a school staff is it imperative we begin to learn more about these digitally immersed learners. It may not be enough anymore to say that they have to do it our way. We learned much differently and at a different time. There are still skills and values that are important, but approaches to learning and what we assess to determine proficiency may be quickly and radically changing. The good news is the teachers of Mira Costa are the best group of professionals and educators I have ever known. If anyone can figure this out, we can. The local region, county, state, and even the nation will be watching us. The work is exciting, and this is a wonderful time to be a teacher. Lastly, We also would like to welcome our new staff. From MBMS we welcome James Locke (Science) and Lindsey Valbuena (English). We are so grateful to add these veteran rock stars to our staff. We are also proud to introduce our newly hired staff. Dave Halushka, our long-time water polo coach has now been hired as a full-time SpEd teacher. Jarrod Parra, who recently completed his student teaching will be working in the science department. Elizabeth Rieken comes to us from a charter school in Crenshaw where she served as the school’s only counselor. She is joining a much bigger team and will be the new CCC counselor working from 12:30-8:00pm to provide evening CCC resources and access to parents and students. Emily Sommer just relocated from Germany with her husband and is the newest member of the Guidance Counseling team. Bridget Sullivan joins us from Santa Monica and will be serving as our new librarian. She and Jason Marshall will be teaming up to create a new and exciting NextGen library/technology center for student learning. Additionally, I have a new assistant Carol Meeks who along with new VP secretary Nancy DiRado are both MBUSD parents and South Bay residents. Lastly, we are pleased to welcome SpEd aides Amber Aleman and Caroline Robinson. Please join us in welcoming them all to our Mustang Family! End Of The Year 2016 – Wow! Both the US News and Newsweek rank Mira Costa in the top 1% of schools nationally! Recently our US News ranking went up again for the 6th straight year. ACT scores rise for the 5th year in a row! The scores went up in every overall and in every sub category! This year we opened up access to MBX summer school to as many students that wanted to take the classes offered. This alleviated prior tensions to classes filling and students being rejected. We also implemented a seamless and efficient scheduling and registration process. We created broader AP/Honors pre-reqs allowing for more access to the more advanced classes. We shifted to a weighted grade system, allowing an extra GPA point for AP classes. For the first time in the history of the school, we adopted a collaboration time/office hours bell schedule. Teachers collaborate with each other regularly on topics that benefit students, and the students have two hours during the day to do homework, get help from teachers or counselors, make up tests, work on projects or do research. It has been a tremendous benefit to everyone on campus. Through the work of an army of coordinators, facilitators, support, and parents we achieved a 95% participation rate on the CASSPP exam. Thank you to the 11th graders for stepping up their game on this important exam. New Courses – next fall will see the full implementation of the following new courses in order to provide more variety for students to choose from: Human Centered Design, Biotechnology, Choreography, English-History Block 10 and 11, Human Geography CP, Philosophy of Literature, AP International Diploma, AP Principles of Computing, AP Seminar, AP Research, AP Capstone, AP Human Geography, PTLW Engineering, PTLW Computer Science, AstroPhysics, American Sign Language, AP Mandarin, Financial Algebra, String Orchestra, World History Honors, U.S. History Honors. A single LMS (Learning Management System) – A committee of teachers looked at all types of LMS systems (eBackpack, EdModo, GoogleClassroom, BlackBoard, Moodle), piloted a few, but in the end are chose Canvas. Pending Board approval, this will be our only on-line communication tool next year between teachers, students and parents. Students will only need one login to access homework, content, assignments, grades and discussion boards. For the 2016-2017 school year, Mira Costa teachers want to make adjustments to students’ workloads in the hopes that some organization of how programs are delivered and how assignments are offered will lower stress and anxiety levels for students. Staff will evaluate the classroom impact of these adjustments, and Ed Council will come forward with any recommended changes for the 2017-2018 school year. Although establishing general, agreed-upon definitions of homework, attempting to free up weekend time, and planning assessments with sensitivity to student workloads are important parts of the unit-planning process, final decisions on homework assignments, tests, projects, and due dates must be left to the professional discretion of the instructor and based on the academic needs of students. Homework – will be a maximum of 25% of the student’s final grade and there will be no more than a 10% variance between teachers of like subjects. AP courseload – students will not be allowed to take more than 4 AP courses per year. This cap will be published to colleges and universities so they know what a max AP load looks like at Mira Costa. Student academic workload – the following chart shows the day of the week in each department when papers, exams, projects and presentations can be due. This will ensure that no student will have more than three periods a day with this type of work due. Limit on after school extra- and co-curricular programs – all after school programs will be limited to 15 hours per week. Any time above that must receive administrative approval. 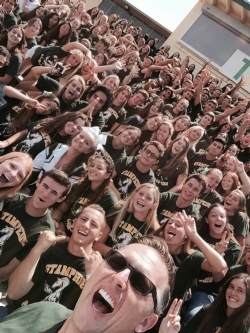 TEAM COSTA – VP Jon Shaw, Activities Director Lisa Claypoole, and Athletic Director Glenn Marx created a school spirit program for students to support each other in attending each other’s events all over campus with the assistance of ASB and the PTSA. Students say school spirit was higher than ever this year. Social-Emotional Wellness Committee – this is a committee comprised of students, staff, parents and District leadership with the mission of taking an honest look at Mira Costa to foster an environment of care using the Challenge Success program and coaching model. Click here for more information. H.E.A.R.T. – advisor Janet Allen started this program this year to address the bullying among students from both the offender and victim’s perspective. Their positive approach to being kind has transformed the school. “The MBUSDCHOICE Transition Program was established in 2015 and is administered by a team of special education training staff, supervisors, and job coaches. The program’s primary goal extends beyond job training. It seeks to connect CHOICE adult students with internships and paid employment right here within their home community. Cheer: UCA—West Coast Championship. They won the Varsity Game Day Division. 1st Place Division Champions. Dance: After a year of hard work and dedication the team came up big winners! The team placed first in senior large jazz, senior large lyrical and senior large hip hop. The team won the Team Overall Highest Point Champions for the first time at Nationals and the big trophy!! Go Costa! Caprina Benson won 1st in her senior jazz solo. Emily Duong, won 2nd in her senior jazz solo. Cami Benson and Ami Okamoto tied for 1st in best leaps. Morgan Rysso placed 3rd in best turns. Emily Duong placed 4th in best kicks. Mira Costa Men’s Choir were awarded Best Overall choir at the Music in the Park Festival. For the fourth year in a row, Mira Costa High School’s Drama Department has won Best Musical Theater performance at the Fullerton College High School Theatre Festival. Over 50 Southern California high schools participated in this two day competition. Costa Drama performed a five minute scene from “The Addams Family,” their spring musical. For the first time in Costa’s history, our Technical Theater teams placed 1st and 2nd overall in the Tech Olympics category. The Tech teams won a total of 9 medals in categories such as Wiring, Costume Quick Change and Tool Identification. In addition, Mira Costa took top honors in Theater Games — a competition of improvisational games. Beach Cities Robotics Team competed in the FIRST LA Regional Competition. The team finished 2nd overall in a competition with 66 teams competing! The team’s 2nd place ranking enabled the team to advance to compete in the FIRST National Championship in St. Louis, MO where they placed 3rd! Congratulations to our Mustang musicians who were invited to perform with the 2016 All-Southern and All-State Honor Bands and Orchestras. These accomplished student-musicians were selected through a competitive audition process that involved several hundreds of highly skilled high school students from throughout California. Congratulations to the MCHS Marching Band and Colorguard who had a fantastic performance at the Oxnard H.S. Tournament on Nov. 7, with the band winning Tournament Sweepstakes (including all caption awards). Percussion placed 1st in the 4A division, while Colorguard placed second. CyberPatriot: This was the first year of the program and the team placed top 5 in California, missing the National Championships by a matter of points. Model United Nations: Our students won their fourth National Championship in six years. Four thousand students from schools of 13 different nations around the world competed over 3 1/2 days. Mira Costa is a "3 peat" champion from past years. Our team consisted of 40 students: 7 seniors, 18 juniors and 15 sophomores. When we go to NY we go to compete at one of the most elite and well run conferences in the world. Other groups tour, we take on the best and the brightest. Any country, any topic, any time. Broadcast: Our Mustang Morning News students were named Best in Show at both the National High School Journalism Convention and by the National Scholastic Press Association as the best show in the country. They have received superior or excellent ratings in six separate categories. La Vista: La Vista won the Silver Crown from the Columbia Scholastic Press Association for the the paper's print and online hybrid publication. The paper also received the CSPA's Gold Medal for Overall Excellence and All-America status for scoring in the top one percent of all papers judged by the CSPA. Costa senior Taya Stewart was awarded the prestigious Gates Millennium Scholarship. As a recipient of this award, she will receive a fully funded scholarship covering tuition, books, and room and board through a doctorate degree. This highly selective program receives thousands of applications each year, with only 1,000 students receiving the award, which is funded by a $1 billion grant from the Bill and Melinda Gates Foundation. Miriam Sachs has won our school-site Poetry Out Loud competition the past three years in a row, going on to represent Mira Costa at the county-level competition three times (which broke the Costa record set by the previous winner, Taylor Howat, who had represented Costa in the LA County-level competition twice). This year Miriam won the entire county-level competition, going on to represent not only Mira Costa but all of LA County at the state-level competition in Sacramento where she was awarded 3rd place out of forty contestants representing counties all over California. This means Miriam has set three records: She is the first student to win Costa's Poetry Out Loud competition three times, the first Costa student to win the entire county-level competition, and the first Costa student to place in state-finals!!! Rachel Bloom (MCHS Class of 2005) won the Golden Globe award for Best Actress in a TV comedy! Costa junior Ronald Clinton was selected among an elite number of students across the country to participate in the Disney Dreamers Academy in March 2016. Intellectually curious, compassionate and courageous leaders are chosen each year for this honor. Pooja Nagpal was selected by Girl Scouts of the USA to receive the prestigious Young Woman of Distinction Award (YWOD). Only 10 women are honored each year across the country with this award which is determined by their outstanding Gold Award project. Cameron Alexander - San Jose St.
95% of the senior class received at least one 4-year acceptance to a college or university.